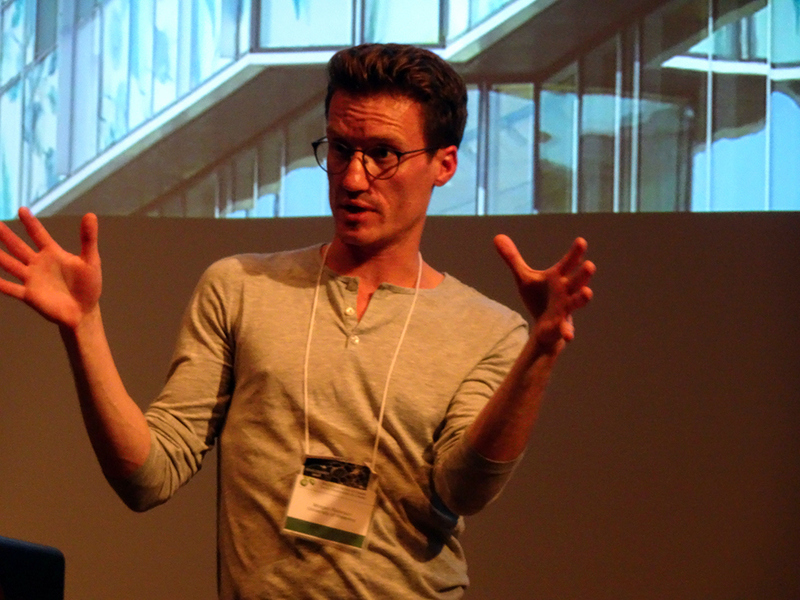 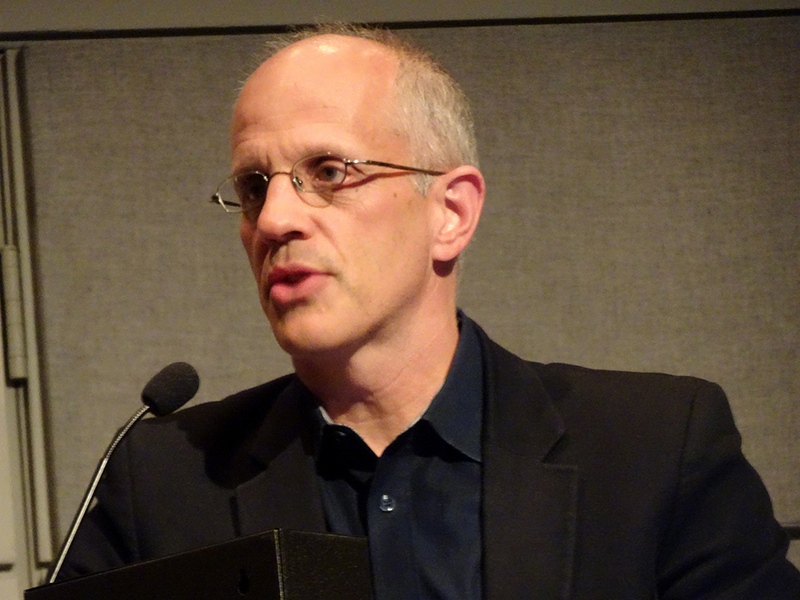 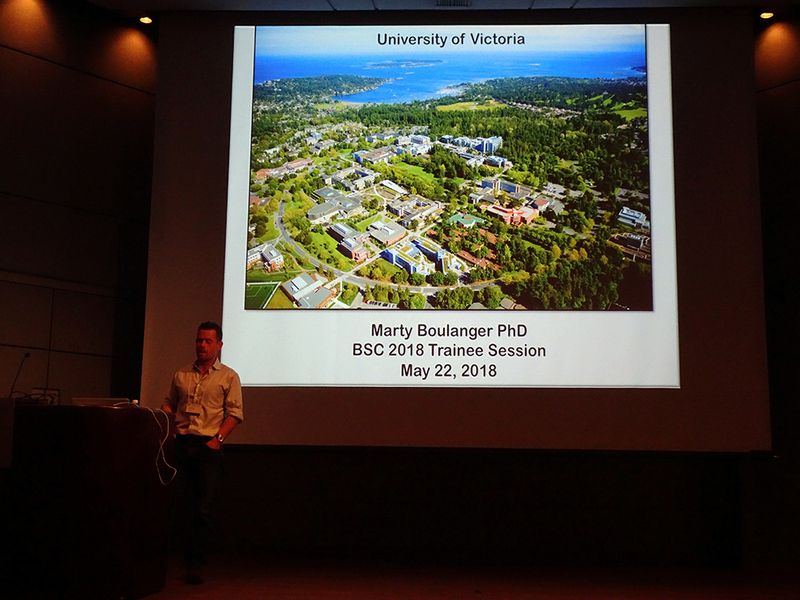 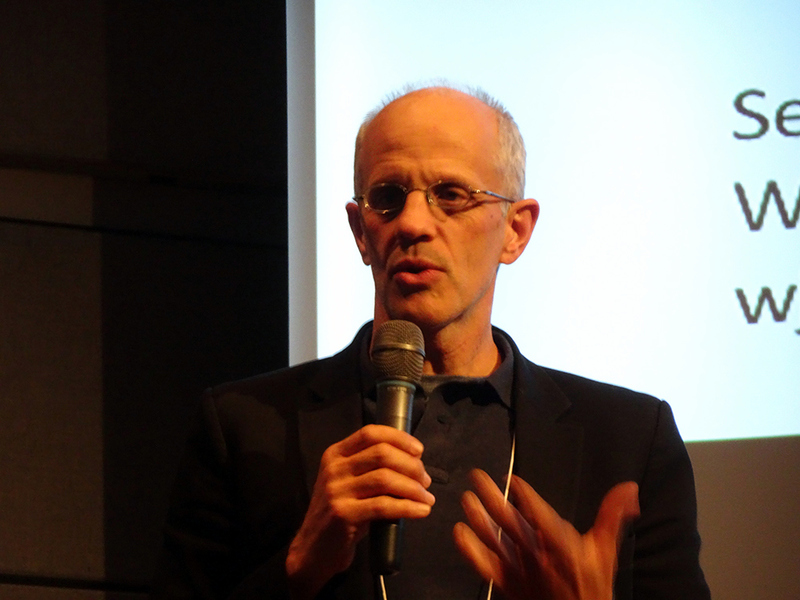 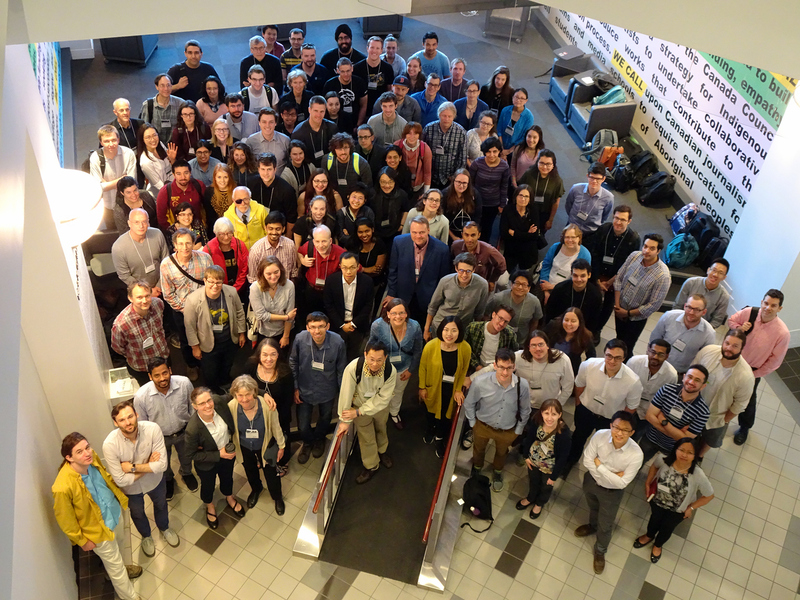 The 4th Annual Meeting of the Biophysical Society of Canada was held May 22-25, 2018 in Vancouver at Simon Fraser University’s downtown Harbour Centre campus. 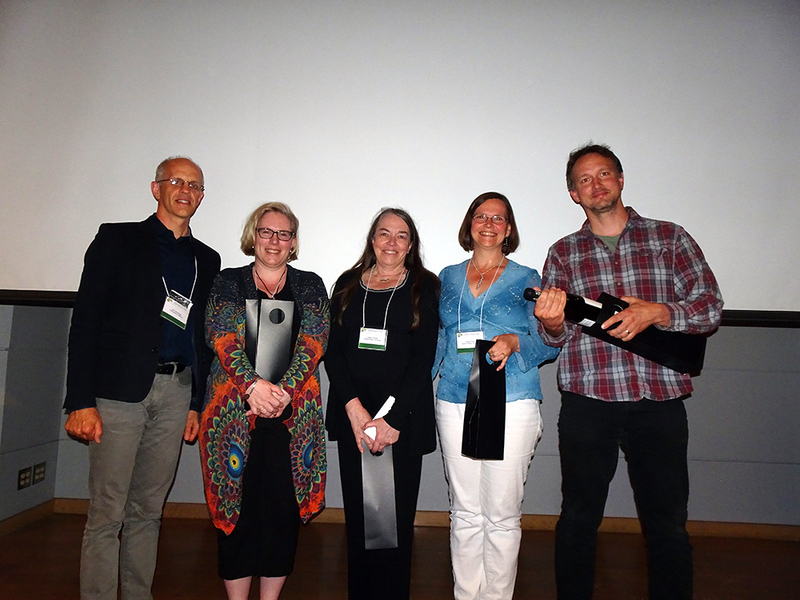 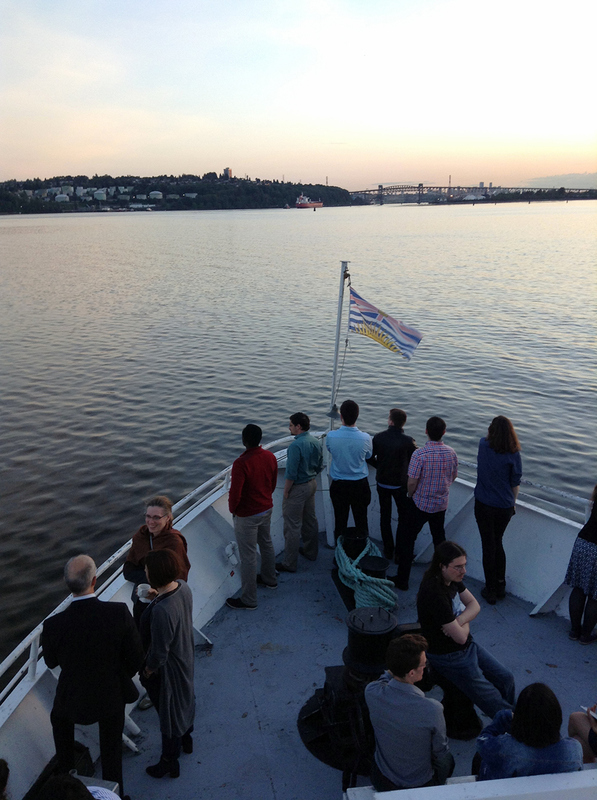 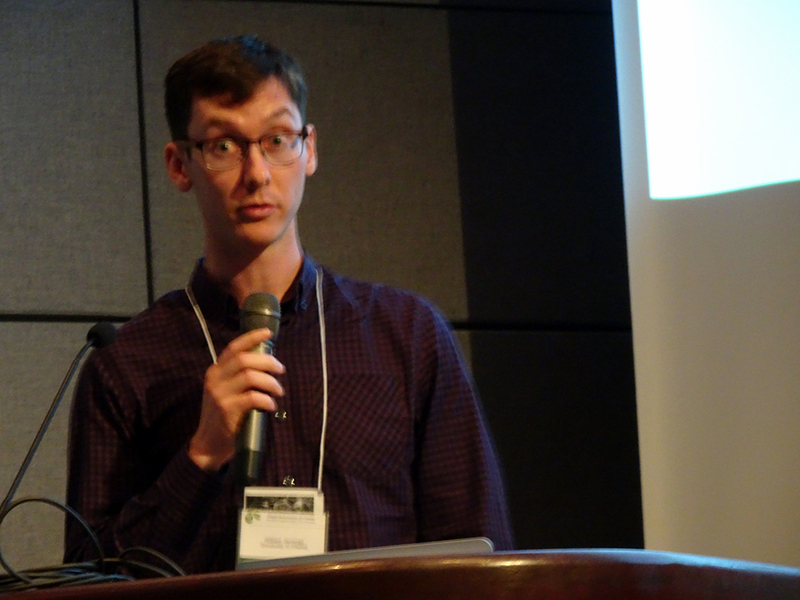 The conference brought together over 200 participants for plenary presentations, scientific talks and posters, and networking opportunities (including the conference banquet, held on a boat cruise alongside Vancouver’s North Shore mountains). 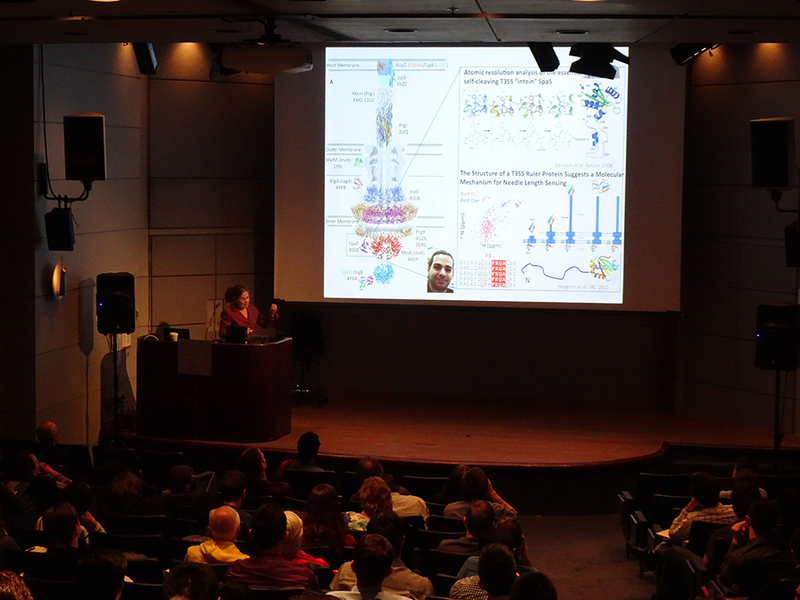 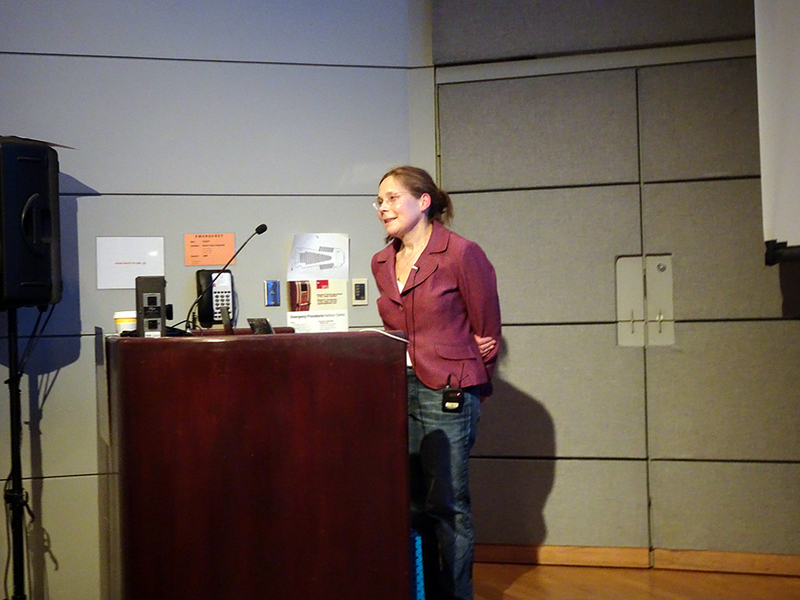 Scientific presentations covered a wide range of topics within biophysics, including protein structure and dynamics, single-molecule spectroscopy, computational biophysics, membranes and lipids, cell mechanics and dynamics and emerging imaging techniques. 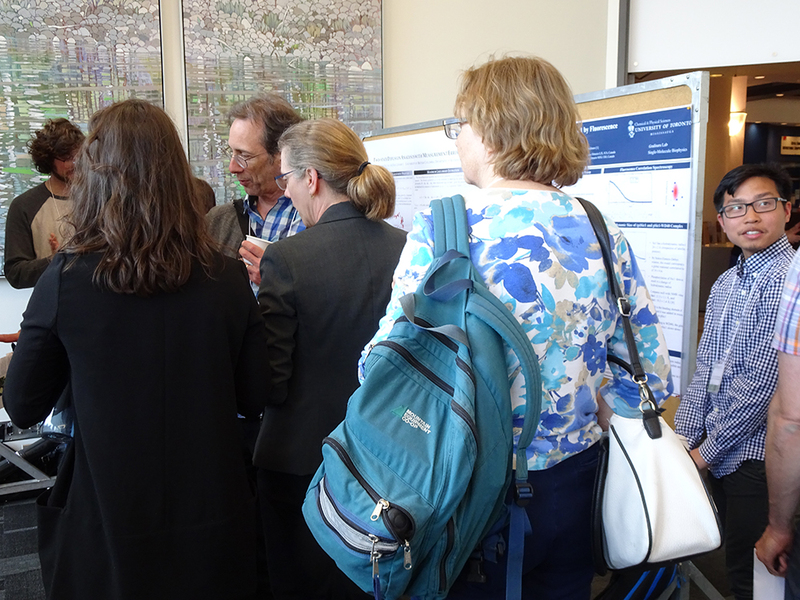 In total, 40 talks and 98 poster presentations were made at the conference. 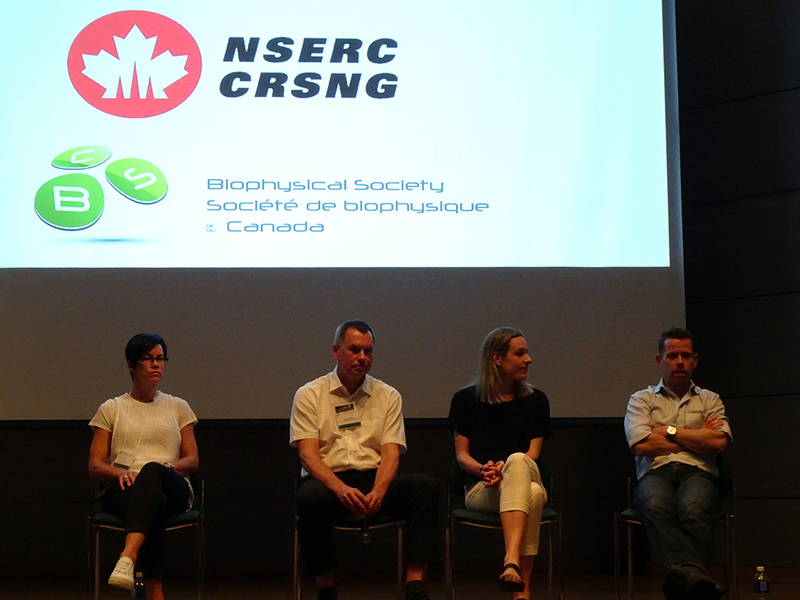 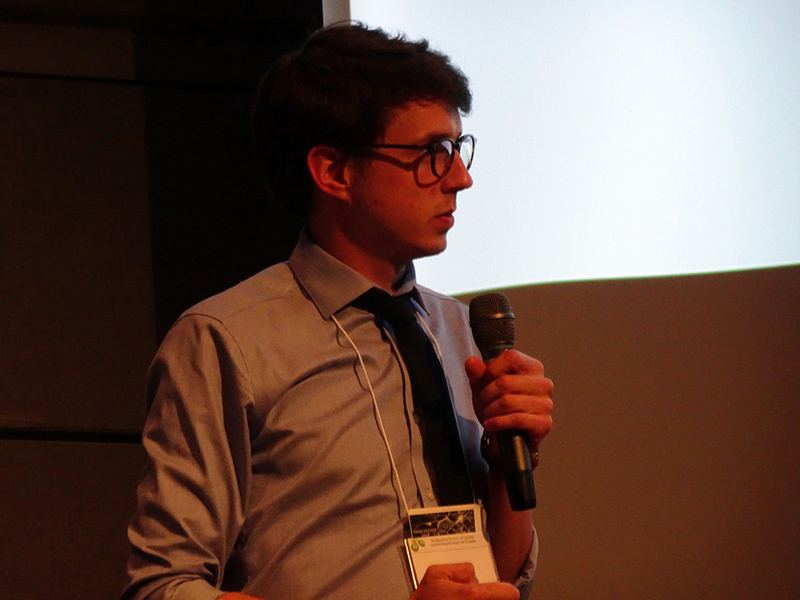 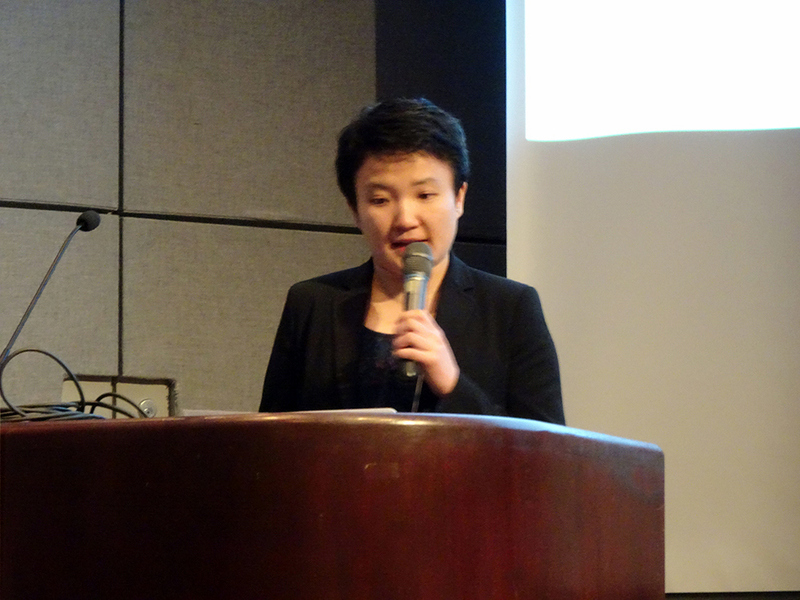 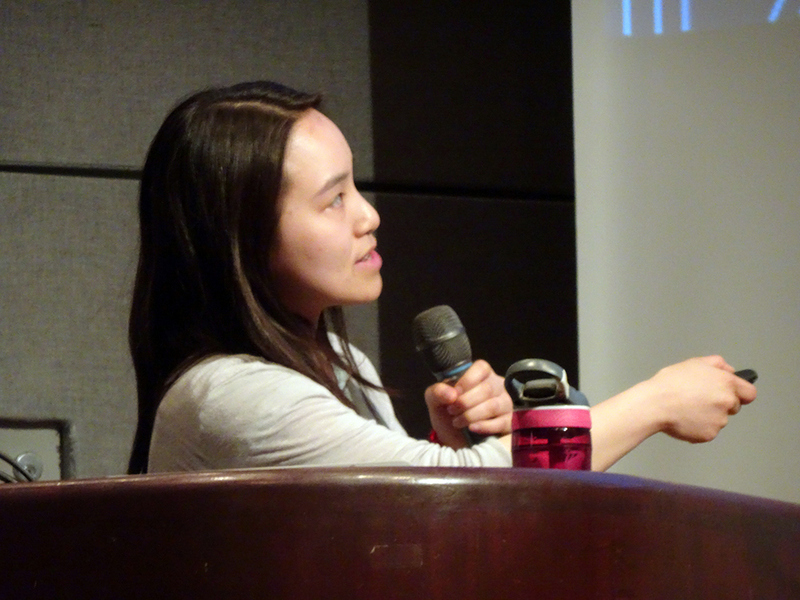 New this year, the conference was preceded by a Trainee Symposium, organized by trainee members of the BSC executive. 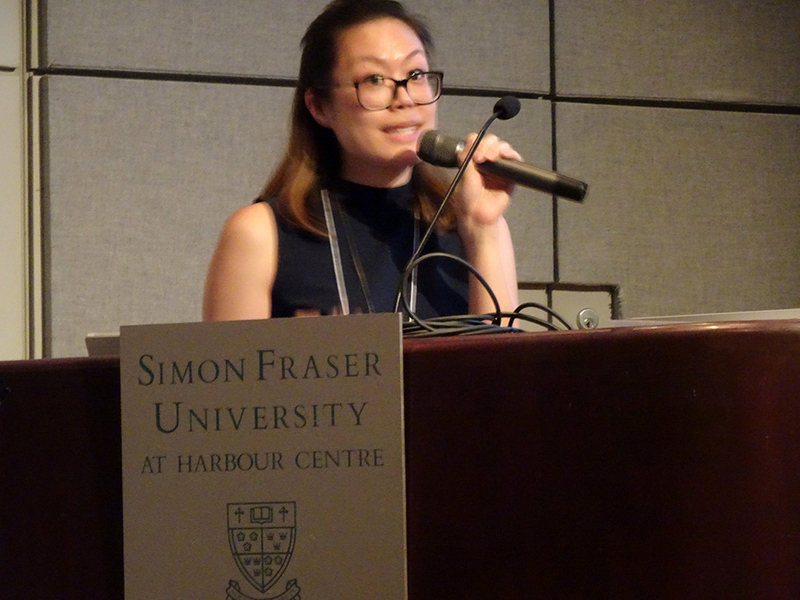 This half-day symposium included a session about transitioning from academia into industry and a session of trainee-presented talks. 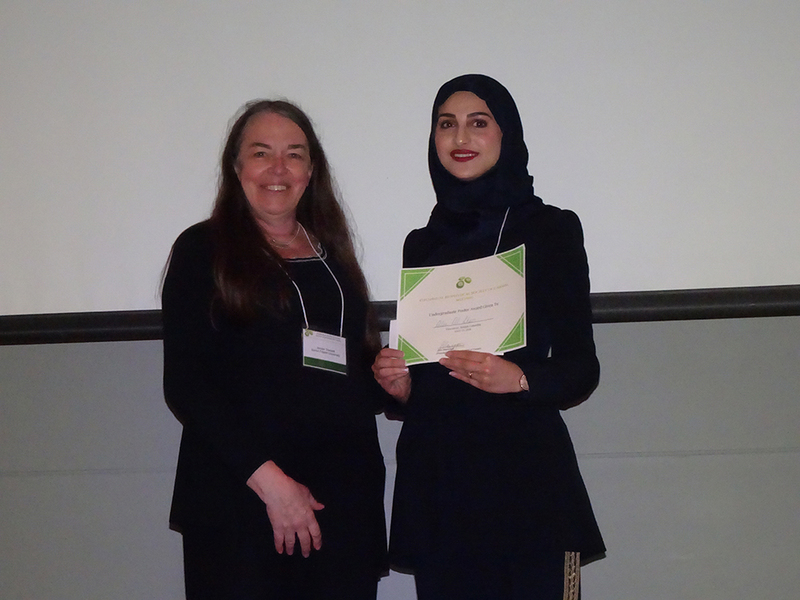 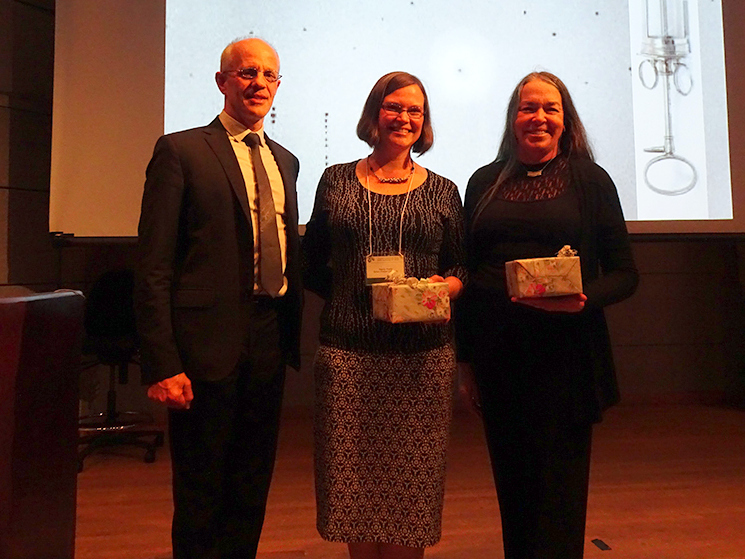 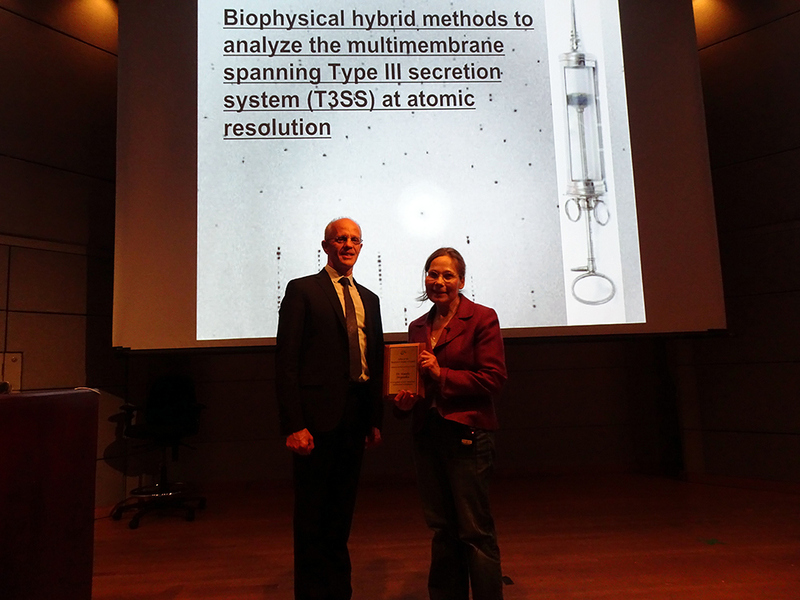 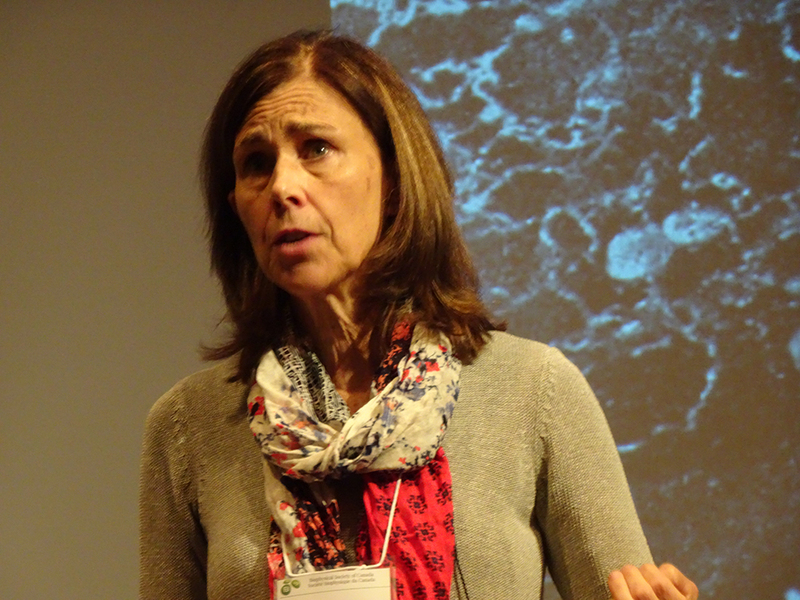 During the meeting, Natalie Strynadka from the University of British Columbia presented the National Lecture and was honored as the 2018 Fellow of the Biophysical Society of Canada. 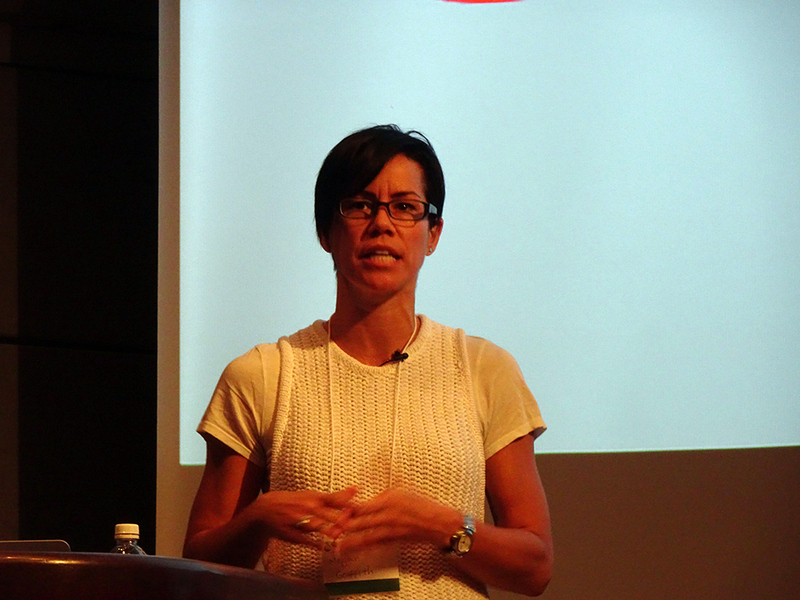 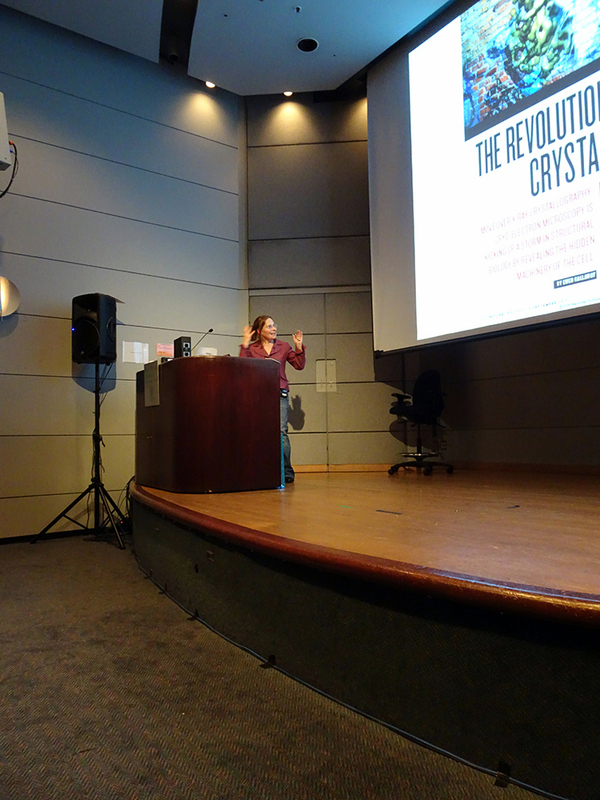 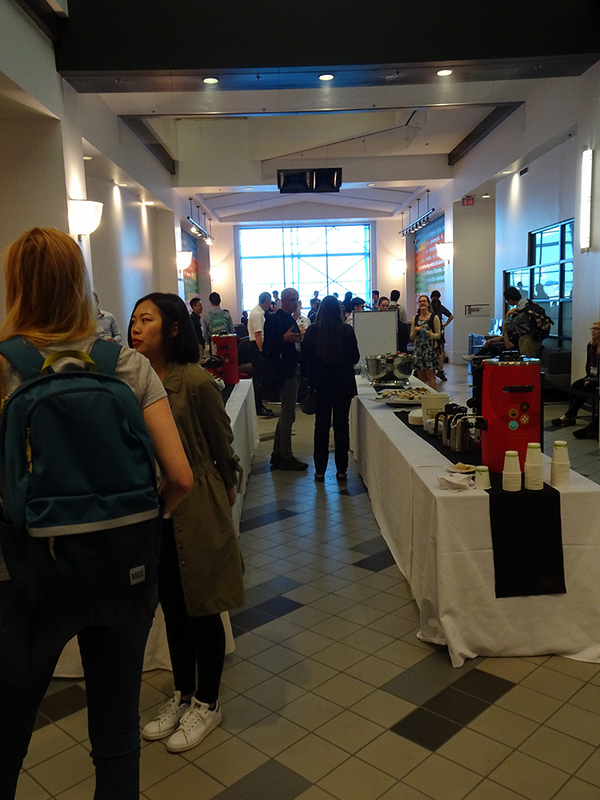 Other notable scientific highlights of the conference included Keynote Lectures by Mei Hong from the Massachusetts Institute of Technology, Jennifer Lippincott-Schwartz from the Janelia Research Campus of the Howard Hughes Medical Institute, Barbara Baird from Cornell University, and William Ryu from the University of Toronto. 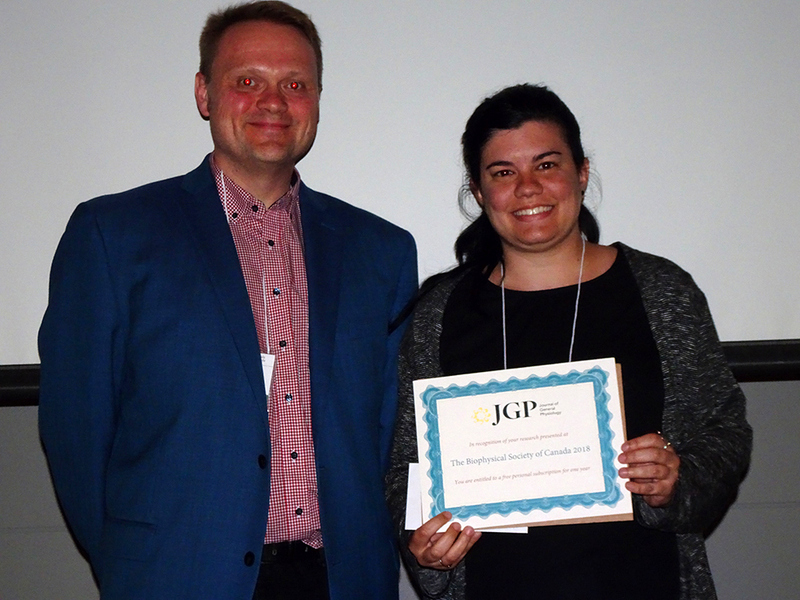 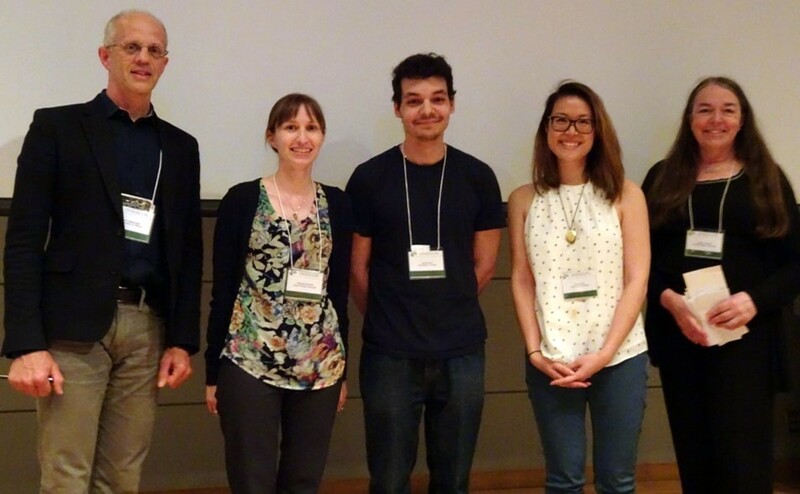 Congratulations to the student poster award winners: Alaa Al-Shaer, J. Andrew Alexander, Daniel Berard, Catherine Byrne, Caitlin Cornell, Chloe Gerak, Marvin Gunawan, Chapin Korosec, Stephen Large, Chantelle Leveille, Franco Li, Haydee Mesa Galloso and Spencer Smyth. 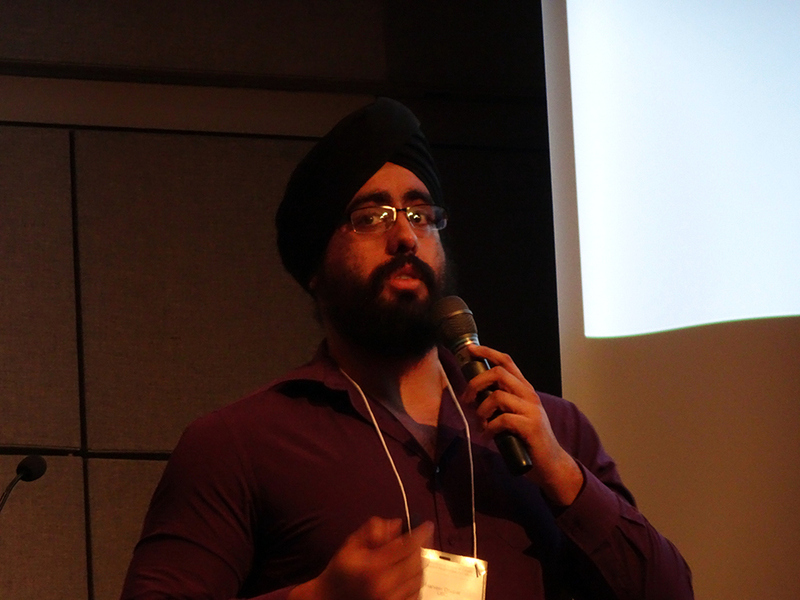 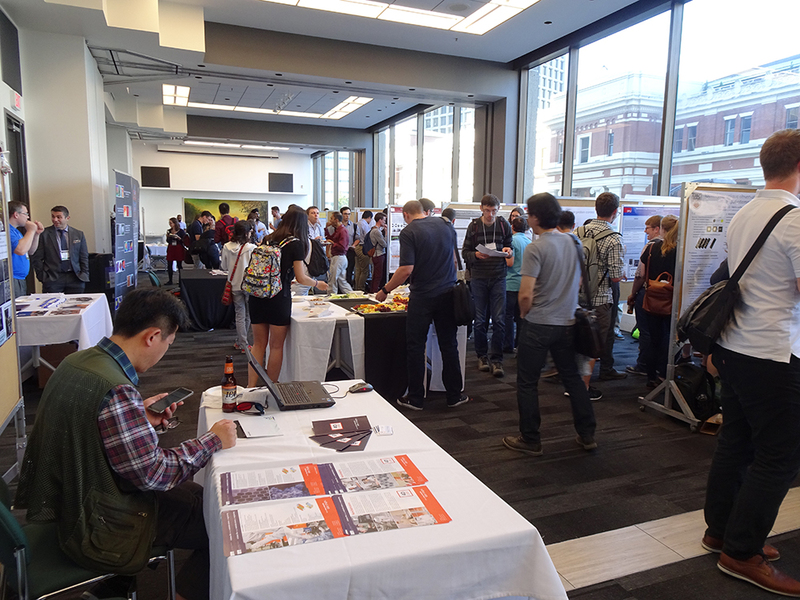 The symposium was sponsored by SFR Magnifying Nanosciences, Acuitas Therapeutics, TA Instruments, the Journal of General Physiology, 4D Labs, Evonik Industries, VWR, the Pacific Institute for Mathematical Sciences (PIMS), the Institute for Applied Mathematics (IAM), the University of British Columbia (Faculty of Science, Department of Cellular and Physiological Sciences, Department of Microbiology and Immunology, Department of Biochemistry and Molecular Biology, Department of Chemistry, Department of Mathematics) and by Simon Fraser University (office of the Vice-President Academic, Faculty of Science, Department of Biomedical Physiology and Kinesiology, Department of Molecular Biology and Biochemistry, Department of Biological Sciences, Department of Chemistry, Department of Physics). 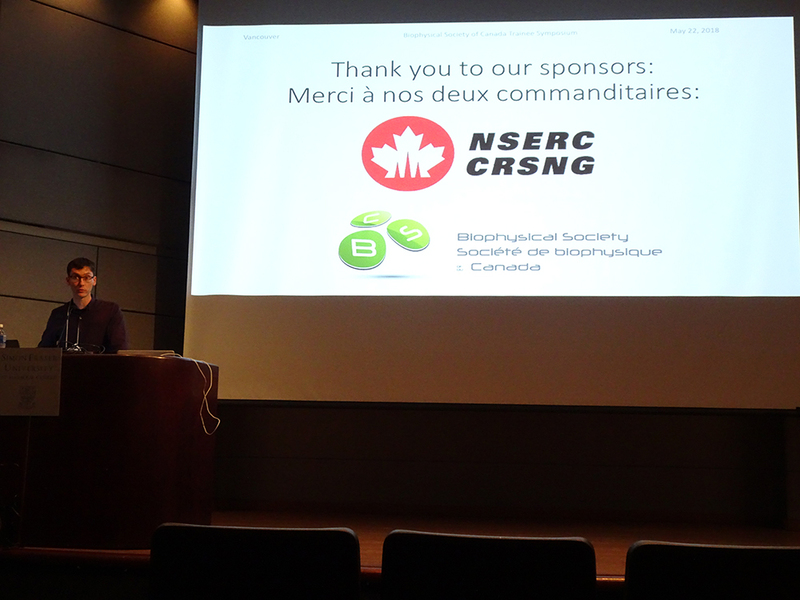 We thank all our sponsors for their generous support. 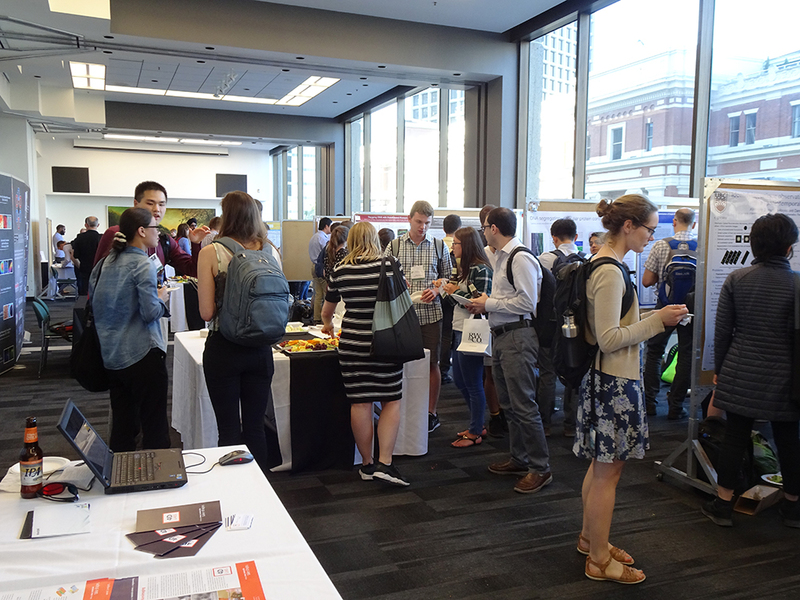 Looking forward to BSC 2019 in Toronto!